Denver native Mark Hubbard spent three seasons on the PGA Tour — 2015 through ’17 — before losing his card. He’s since been a regular on the Web.com circuit, but if this week is any indication, he may soon be headed back to The Show. 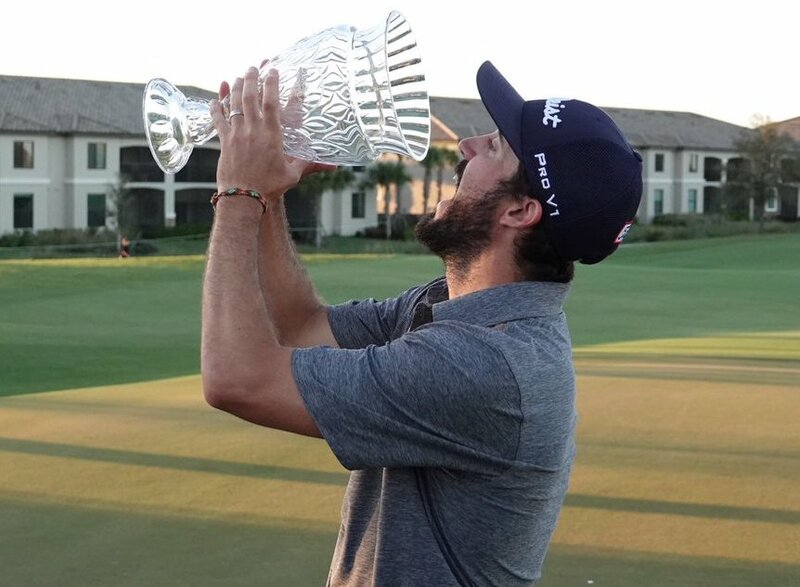 On Sunday, the 29-year-old scored his first victory on the Web.com Tour, winning the LECOM Suncoast Classic in Lakewood Ranch, Fla., by two strokes. The triumph was worth $99,000, which will give Hubbard a leg up in his quest to finish in the top 25 on the 2019 season-long Web.com Tour points list, which assures a player of a PGA Tour card for next season. Hubbard now ranks fourth on the Web.com regular-season points list. “I don’t think it’s fully sunk in yet,” Hubbard told reporters on Sunday, when his mother and little brother were in attendance. “Obviously I’m super pumped right now. Really more than anything, I’m really proud of myself — the way I handled myself, the way I stuck to my game plan. The win is kind of just a bonus. Hubbard was the 2007 Male Junior Player of the Year in Colorado — when he won both the CGA Junior Stroke Play and Junior Match Play — and he claimed the title in the inaugural Mark Simpson Colorado Invitational college tournament in 2010 and at PGA Tour Canada’s Wildfire Invitational in 2013. The Colorado Academy graduate in the midst of his third full season on the Web.com Tour, with this week marking his 65th start on that circuit to complement the 84 he’s made on the PGA Tour. But while Hubbard now has 10 top-10 finishes in his Web career — including a 2014 runner-up — Sunday marked his first victory. At the Suncoast Classic, Hubbard posted scores of 65-66-64-67 for a 26-under-par 262 total, which was two shots better than runner-up Maverick McNealy. For the week, Hubbard racked up an eagle, 28 birdies and just four bogeys.